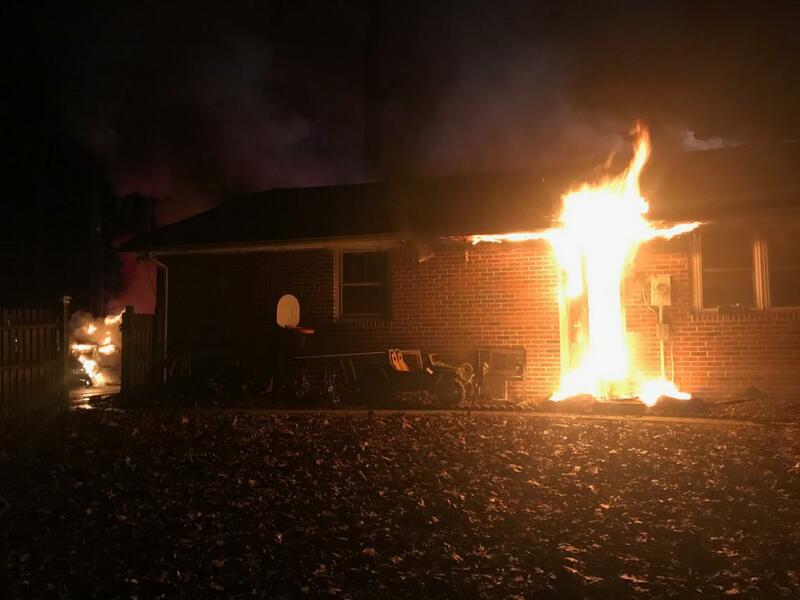 On Friday evening January 11th, Thorndale Volunteer Fire Company along with numerous mutual aide companies responded to the 500 Block of Dogwood Lane for a reported house fire. 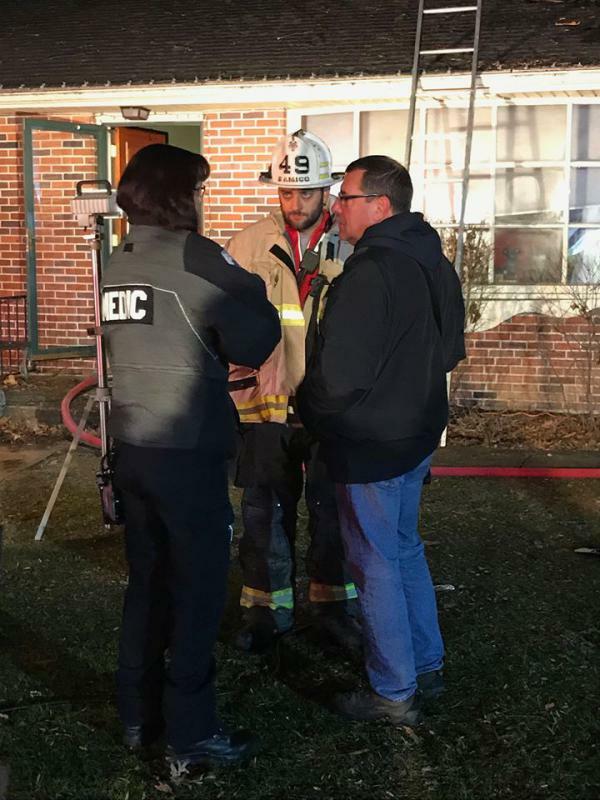 Chief 38 made the response and was immediately advised by Chester County 911 that they were receiving numerous calls of a working fire. With that report Chief 38 immediately requested the working fire dispatch. A 1st Alarm Tanker Task Force was also requested due to this section of Caln Township not having hydrants or adequate water supply. Engine 76 (VA Hospital) arrived on scene and reported fire and smoke showing from the garage area. Engine 76’s crew immediately deployed a 2” hose line to begin to knock down the bulk of the fire within the garage. Ladder 41-2 (Coatesville FD) arrived behind Engine 76 and assisted with fire suppression and truck company duties. 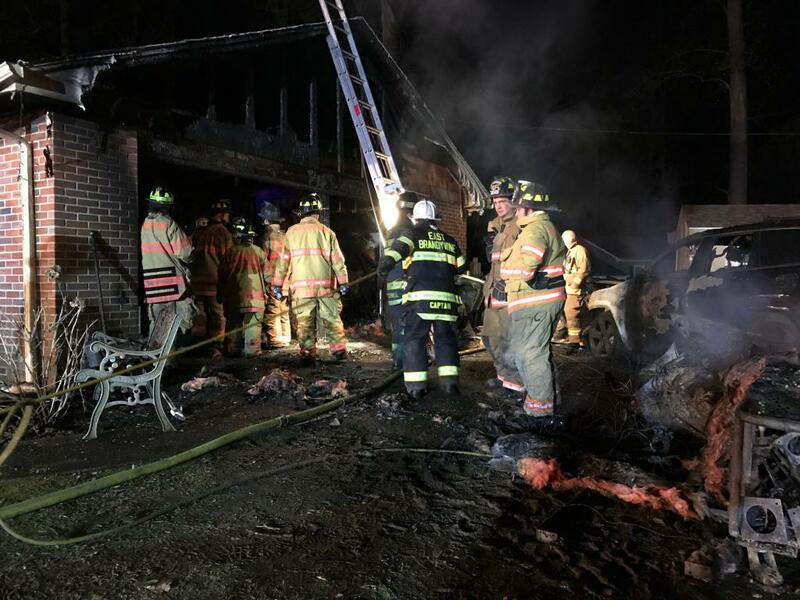 Rescue 35 (Wagontown) and Engine 49-5 (East Brandywine) crews assisted with fire suppression using additional hose lines as well as supplying their water to Engine 76. Engine 38 arrived, performed a reverse lay and set up a tanker dump site at Acorn Street and Dogwood Lane where the responding tankers would dump their tank water to be supplied to the scene. 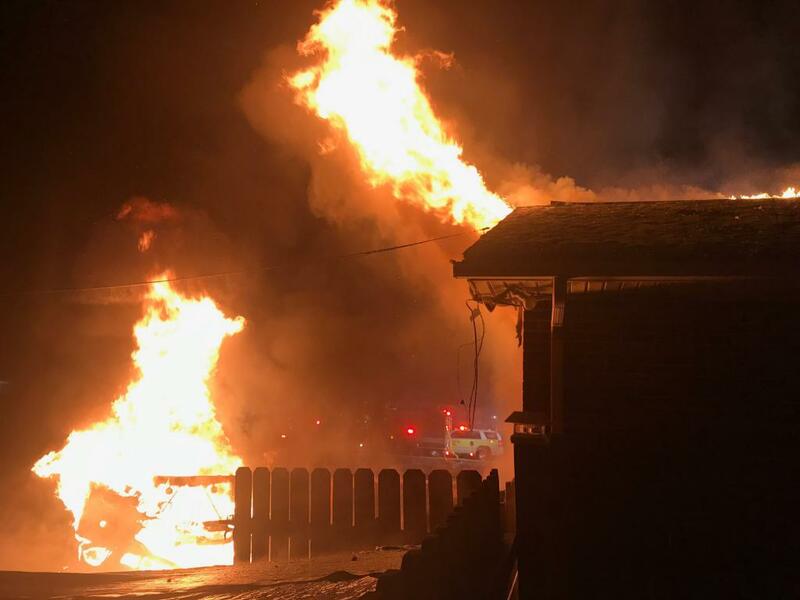 Rescue 38 was assigned to a setup a fill site for the responding tankers at Millwood and Elmwood Lanes in the Kingswood Crossing Development. Companies were able to contain the bulk of the fire to the garage and a small section of the home. Crews remained on scene for several hours for performing salvage and overhaul operations and wetting down any hot spot areas. Thorndale Volunteer Fire Company extends its thoughts and prayers to the homeowners effected by this event. Thank you to the West Bradford Fire Company Engine 39-1 for covering Caln Township while we operated at this incident.